Praxis is entirely free to use under the terms of the Creative Commons licence. You may adapt and use the Praxis Framework for your own purposes as long as you acknowledge its source. You must also make your work available to others free of royalties. Ideally, your contribution will be incorporated into this web site for the benefit of others. 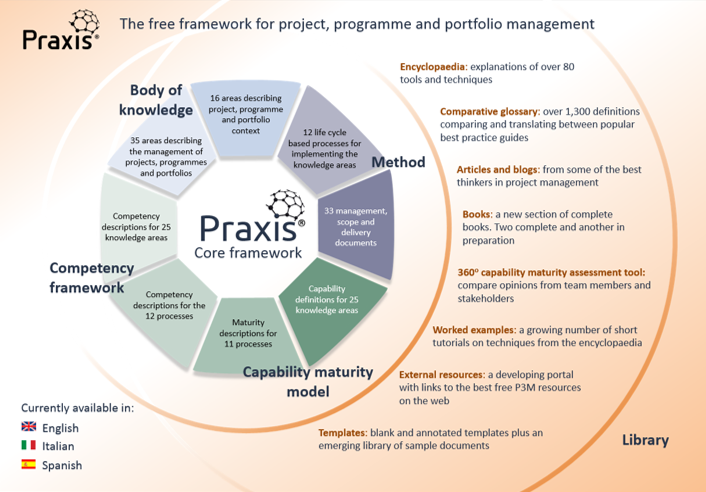 Praxis brings together a body of knowledge, methodology, competence framework and capability maturity model in a single integrated framework with a single structure and terminology. No more need for mapping and translation between different guides. There is no such thing as a typical project, programme or portfolio and Praxis is not prescriptive in the way its components are applied. The framework is designed to provide building blocks that can be tailored and assembled to suit all manner of different contexts. 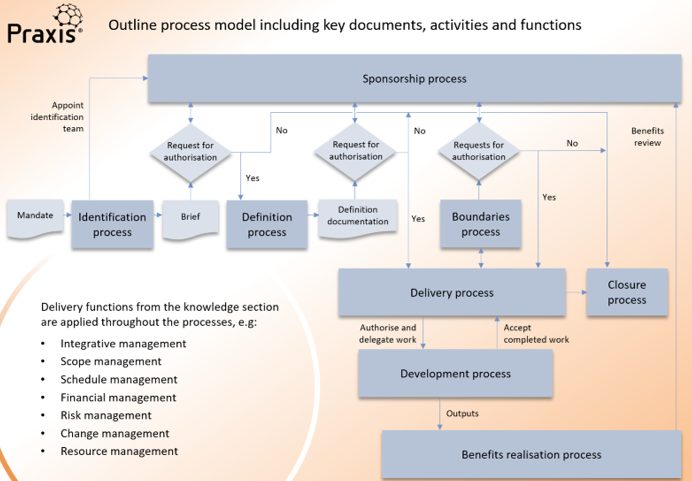 Most project, programme and portfolio management guides are updated by panels of experts every few years. Our aim with Praxis is to update and extend the framework and library on a continuous basis. As our users provide adaptations and lessons learned, we will incorporate these into the framework. Check our news feed on this page and follow us on Twitter to keep up to date.